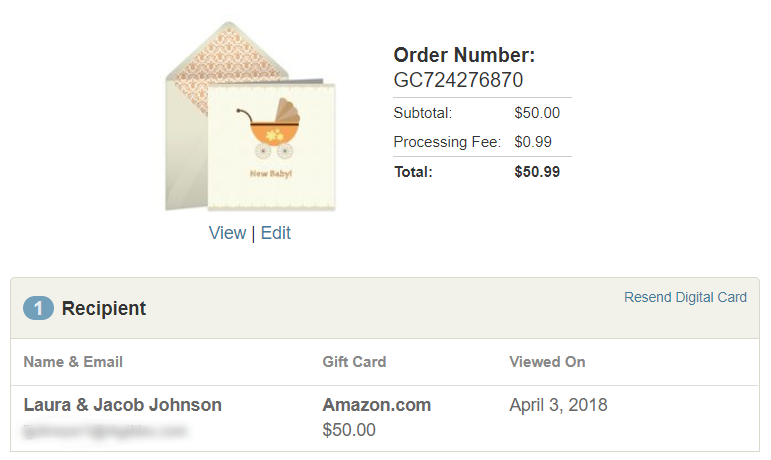 Can I resend a Gift Card? Yes, if you have included a Gift Card inside a Digital Card, sign in to your account and go to your My Digital Cards page. Click Resend next to the card you want to resend. Need to send to a different email address? Find instructions here. If you did not send a Digital Card and only sent a Gift Card, locate the View order link (highlighted above). Click the View order link and you'll see the Resend Digital Card link.